Palm Desert is a city in Riverside County, California, United States, in the Coachella Valley, approximately 14 miles (23 km) east of Palm Springs and 122 miles (196 km) east of Los Angeles. Start off your visit on the 28th (Thu): explore the world behind art at Sunnylands Center & Gardens and then make a splash at Palm Desert Aquatic Center. On the 29th (Fri), you'll have a packed day of sightseeing: explore the engaging exhibits at Children's Discovery Museum, shop like a local with CODA Gallery, and then explore the fascinating landscape at Cottonwood Spring Oasis. To see other places to visit, maps, more things to do, and more tourist information, read our Palm Desert trip planning tool . Los Angeles to Palm Desert is an approximately 2.5-hour car ride. You can also fly; or take a bus. When traveling from Los Angeles in March, plan for a bit warmer days and about the same nights in Palm Desert: temperatures range from 84°F by day to 58°F at night. Finish your sightseeing early on the 29th (Fri) to allow enough time to travel to Casa Blanca. Start off your visit on the 30th (Sat): try your luck at Dancing Eagle Casino and then admire the architecture and history at Laguna Pueblo Mission. To find traveler tips, maps, photos, and tourist information, read our Casa Blanca sightseeing planner. The Route module can help you plan travel from Palm Desert to Casa Blanca. The time zone difference when traveling from Palm Desert to Casa Blanca is 1 hour. Traveling from Palm Desert in March, things will get much colder in Casa Blanca: highs are around 62°F and lows about 23°F. Cap off your sightseeing on the 30th (Sat) early enough to travel to Grand Canyon National Park. On the 1st (Mon), hike the day away at Bright Angel Trail. There's still lots to do: take in breathtaking views at Grand Canyon South Rim, stroll through Rim Trail, get great views at Mather Point, and hike along South Kaibab Trail. You can drive from Casa Blanca to Grand Canyon National Park in 5.5 hours. Alternatively, you can fly. When traveling from Casa Blanca in March, plan for little chillier days and about the same nights in Grand Canyon National Park: temperatures range from 57°F by day to 23°F at night. Finish your sightseeing early on the 2nd (Tue) to allow enough time to drive to Sedona. 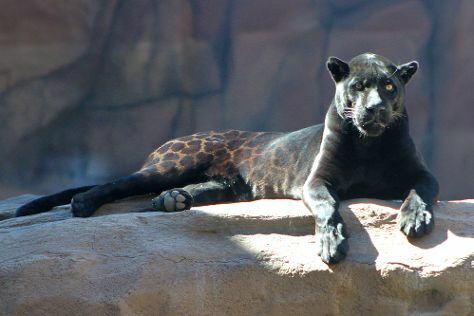 You'll visit kid-friendly attractions like Bearizona Wildlife Park and Slide Rock State Park. Venture out of the city with trips to Lowell Observatory (in Flagstaff) and Out of Africa Wildlife Park (in Camp Verde). There's lots more to do: take in the dramatic natural features at Cathedral Rock, relax and rejuvenate at some of the top local wellness centers, view the masterpieces at Honshin Fine Art, and stop by Trailhead Tea. Ask Inspirock to suggest an itinerary and make planning a trip to Sedona fast, fun, and easy. Drive from Grand Canyon National Park to Sedona in 2.5 hours. While traveling from Grand Canyon National Park, expect a bit warmer days and warmer nights in Sedona, ranging from highs of 72°F to lows of 48°F. Cap off your sightseeing on the 6th (Sat) early enough to travel back home.